Kevin Humphreys said that the Seanad appointments and ministerial appointments would amount to “jobs for the boys”. FORMER LABOUR TD Kevin Humphreys has hit out at Enda Kenny for the delays in appointing senators to the new Seanad. The Seanad elections took place last month and Humphreys was elected along with 48 other new senators. However, An Taoiseach Enda Kenny has yet to put forward his 11 nominees – and so the business of the new Seanad cannot begin properly. Speaking at a Labour event today, Humphreys took aim at Kenny for the delay in nominating his senators. He said that pressure from Independents and others over who to appoint had “unduly delayed” the appointment of Kenny’s senators. “It’s important at this stage that every house should be now setting down to work,” he said. The Taoiseach is moving far too slowly, he’s being too indecisive and we need to get on with the work for the people. 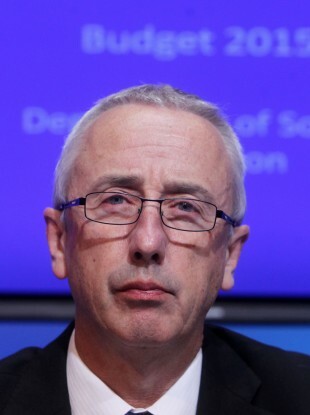 When questioned on whether he thought the delays was the opposite of new politics, Humphreys said that the Seanad appointments and ministerial appointments would amount to “jobs for the boys”. He also hit out at new government ministers. “I have not time for people at the moment who we are seeing appointed to public office that are so used to being hurlers on the ditch, supporters of everything and opponents of none,” he said. What we need now is proper policy to bring the country forward and I don’t see that in the appointments that have been made. Humphreys was elected as a TD in 2011 and served as a minister of State before he lost his seat in this year’s general election. Email “"The Taoiseach is moving far too slowly" - Labour senator hits out at Enda for delay in Seanad nominations”. Feedback on “"The Taoiseach is moving far too slowly" - Labour senator hits out at Enda for delay in Seanad nominations”.